The Business Office includes admissions, insurance billing, personnel and all financial aspects of the Nursing Home. Accomplishes accounting and organizational mission with professional, friendly staff. The Nursing department provides skilled care to 112 residents. We have just recently gotten a deficiency free State Survey. This reflects the excellent care provided to our residents. We pride ourselves in being a family oriented facility. 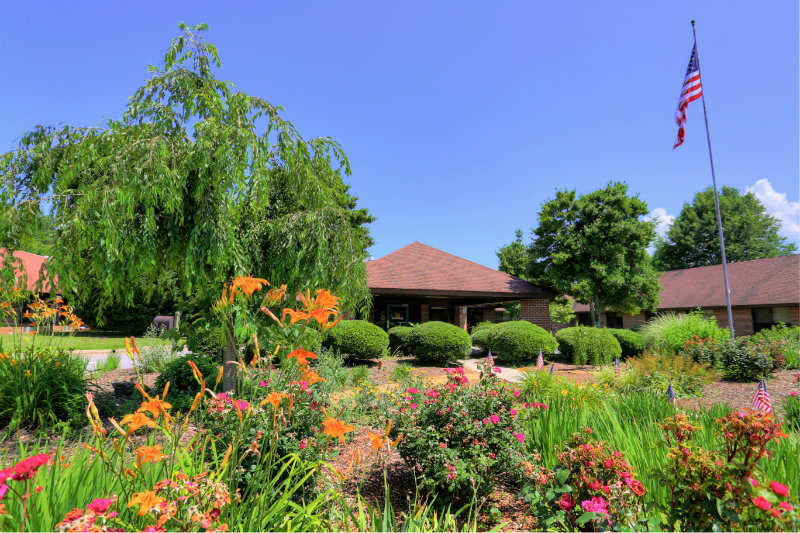 The Activity Department at Chatuge Regional Nursing Home provides a wide variety of recreation and leisure programming for residents. Programs are designed to enhance social, memory and cognitive skills, range of motion, spiritual needs and creative expression. Upon admission, a thorough assessment is completed to identify each person's needs. Treatment goals are then developed to address those areas. A strong emphasis is placed on improving the quality of life for people who reside at Chatuge Regional Nursing Home. Each individual was once a contributing member of the community with hobbies and interests. Due to natural process of aging, an individual's level of interest in activities that they once enjoyed may decline. Activity staff and volunteers work together in an attempt to restore a person's interests. The Dietary Department provides high quality, well-balanced meals and nourishment to residents as ordered by their physician. Guest trays are provided to family members and visitors upon request. Dietary staff strive to provide an at-home atmosphere during meal time and order any special request items residents may have. The Dietary Department also assists with a variety of special functions such as holiday parties, family cookouts, and singings. Our Registered Dietitian and Certified Dietary Manager perform nutritional assessments and make needed recommendations on residents as part of the Care Plan Team. Maintaining an environment that our residents and families feel comfortable and secure in is an integral part of our facility's ideology. The Housekeeping Department strives to keep all areas of our facility tidy, clean and disinfected to ensure optimum health and environmental benefits to our residents. Ensuring that resident's appear clean and well-kept is also of top priority when facility goals are considered.The Laundry Department seeks to ensure that resident's personal clothing is properly laundered so that residents can maintain the self-esteem that comes with looking good. The Residents of Chatuge Regional Nursing Home are very important to our staff. Residents deserve to have optimum care, where this care is consistent with needs delivered through a personalized psychosocial approach. The Social Services Department reminds staff that all residents are individuals who have led and continue to require life enriching experiences. Our residents enrich our lives every day. The Social Services Department works hard to ensure all residents have access to all necessary resources and that they are happy and content in our facility environment. The MDS and Care Plan Department is responsible for managing the facilities standardized assessment process. This includes setting up the assessments, building and evaluating care needs beginning from admission and continuing till discharge. We include the residents and encourage family members or significant others to optimize meeting a mission of our nursing home which is to provide high quality and cost effective health care. Chatuge Regional Nursing Home has recently become a member of the Second Wind Dreams program.